Upgrade your al desko dining experience. When it comes to healthy lunches, green salads are classic—and sometimes a bit monotonous. Here are seven healthy lunch alternatives. 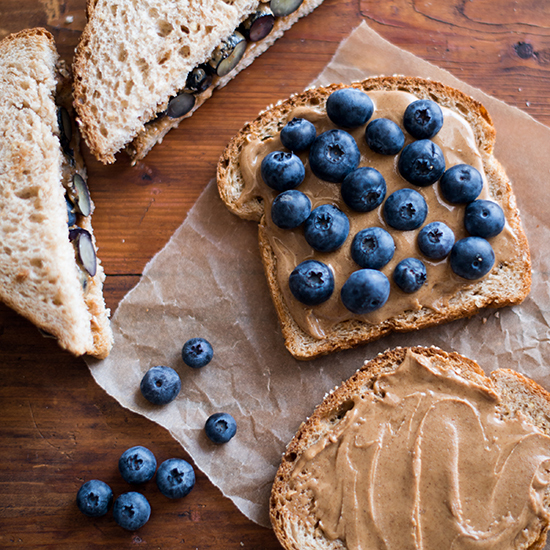 Cut back on the sugar and use fresh blueberries instead of jelly in this simple twist on the classic peanut butter and jelly sandwich. Chef Zach Brooks adores this sweet-spicy Chinese-American restaurant staple. 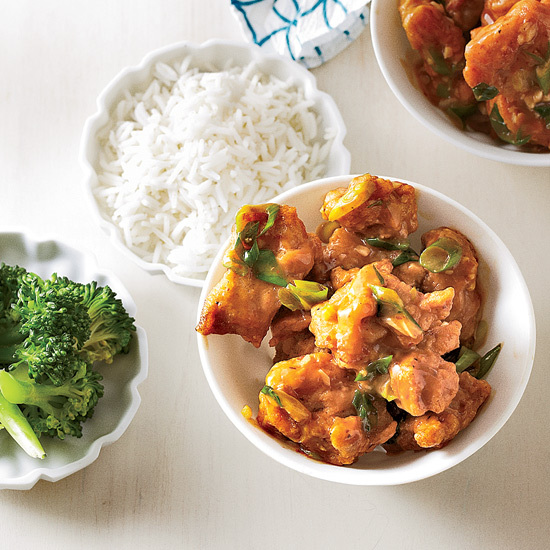 The version here is lighter than take-out because the chicken is only lightly coated in cornstarch and is pan-fried rather than deep-fried. 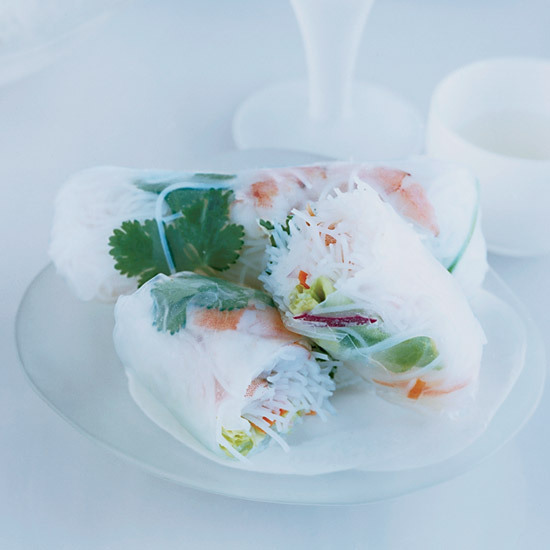 Vietnamese rolls stuffed with shrimp get crunch and color from yellow peppers, lettuce and carrots—which, like most orange fruits and vegetables, are high in cancer-fighting alpha carotene. 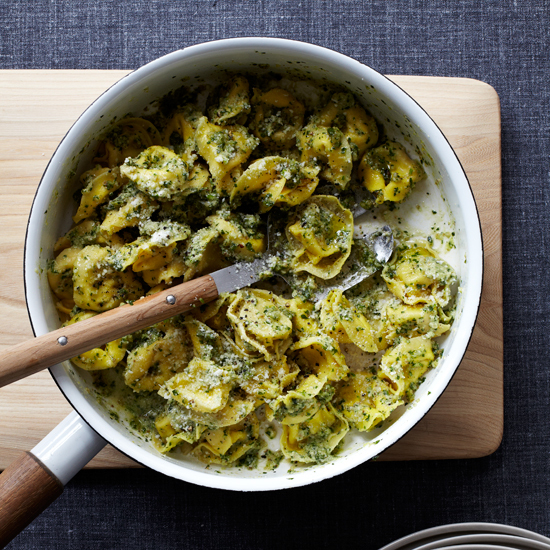 This healthy pasta features a superfast pesto that's great with any type of tortellini. 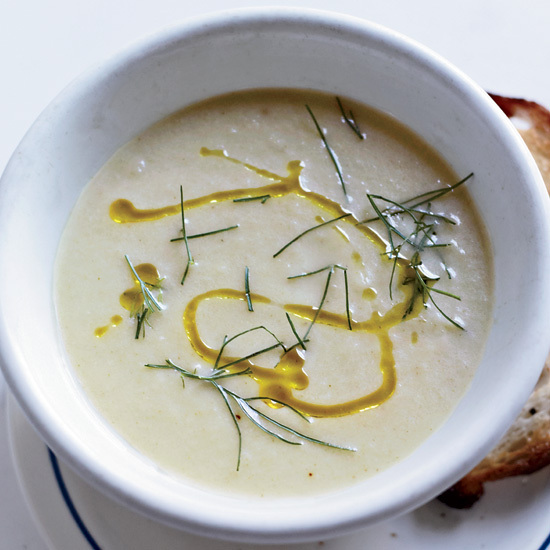 Chef Hiroki Yoshitake cleverly uses grapefruit oil to boost the flavor in his chilled four-ingredient soup. 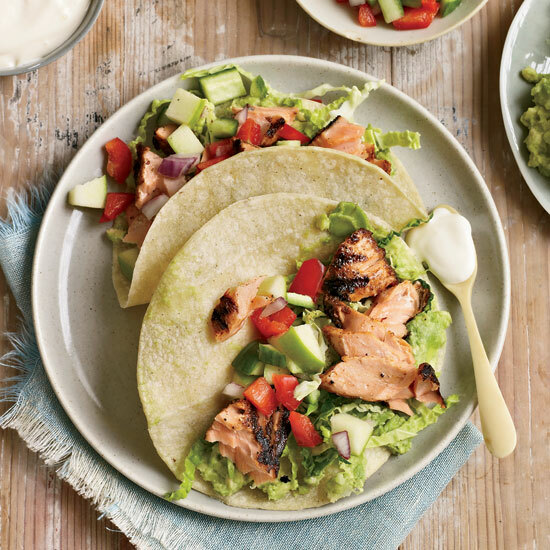 These tacos are a great way to eat heart-healthy salmon, plus the tangy apple-cucumber salsa is juicy, crisp and full of fiber. 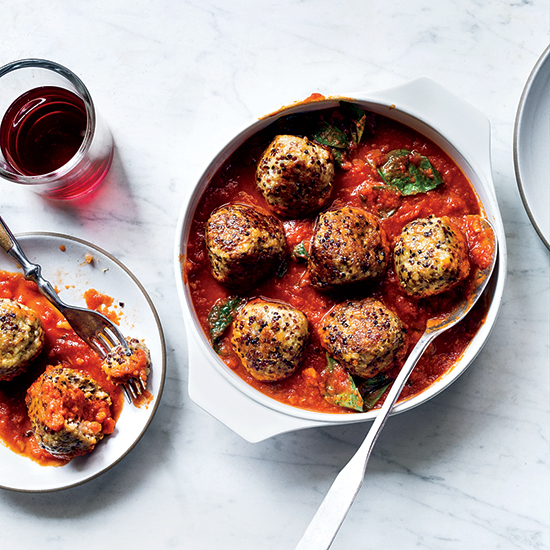 F&W's Kay Chun uses cooked quinoa instead of breadcrumbs to make these tender, flavorful, protein-packed meatballs.